The handicrafts and carpet sector in the country is a decentralized sector of the Indian economy. About 10 million artisans are engaged with the sector spread over all regions of the country. Skill development in the Handicrafts and carpet Sector is not very well developed and is in the nascent stage with few programmes or support services are available on National or Cluster basis. The training provided by the individual enterprises is not necessarily recognized and is not in sync with the demands of doing business in todayâ€™s competitive environment. Given the un-organized and the rural nature of the sector, it is important that the skill is upgraded in a structured manner keeping in view the demand of handicrafts products in the International markets and also creating linkages with the manufacturers and exporters thereby providing employment opportunities. Skill Development has always been one of the top priorities and EPCH has been entrusted to form the Handicrafts and Carpet Sector Skill Council (HCSSC) to bridge the skill gap that is seriously affecting the handicrafts and carpet sector. 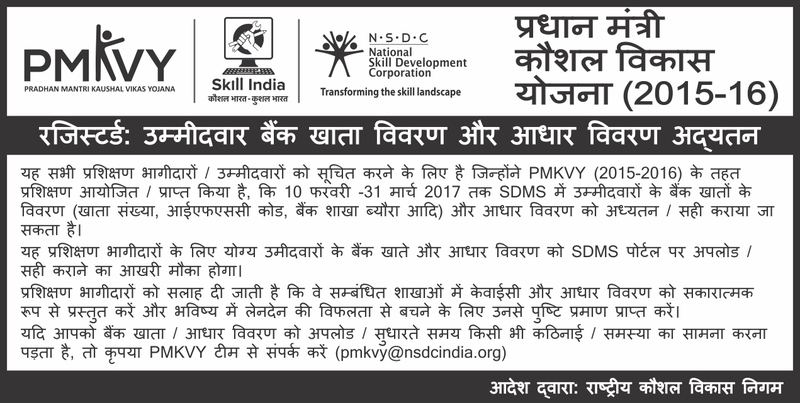 The HCSSC has been formed aiming to provide skilling to over 20 lakh individuls in next 10 years. The purpose of creating Sector Skill Council is to aggregate the efforts of the Handicrafts Sector for work force development by inviting participation, feedback, inputs from all the key stakeholders. It also aims to set work force benchmark and improve overall production both in quality and in quantity in the Handicrafts and carpet sector. The Sector Skills Council would serve as a nodal / apex body for developing and regulating skills in the handicrafts and carpet sector. â€¢ Research and aggregate skill requirements including segmentsâ€™ requirements, regional requirements and international trends and best practices that can be introduced in the domestic skill development space. â€¢ Create skill database of the current and future skill requirements, both in terms of numbers as well as types of skills and identifying the underlying reasons for skill gaps. The database would include skill gap identification for the organized as wellunorganized sector. â€¢ Identify changing technologies in the sector and collate technology specific skills which are currently required or may be required in future. Besides technical skills, list out soft skill requirements in terms of content, depth of coverage required and practical training requirement etc. and lead the drive to boost skill development to improve productivity, growth & employment. â€¢ Collate and disseminate labour market information with respect to number of people both for the organized as well unorganized sector, getting direct and indirect employment in various areas of the industry. 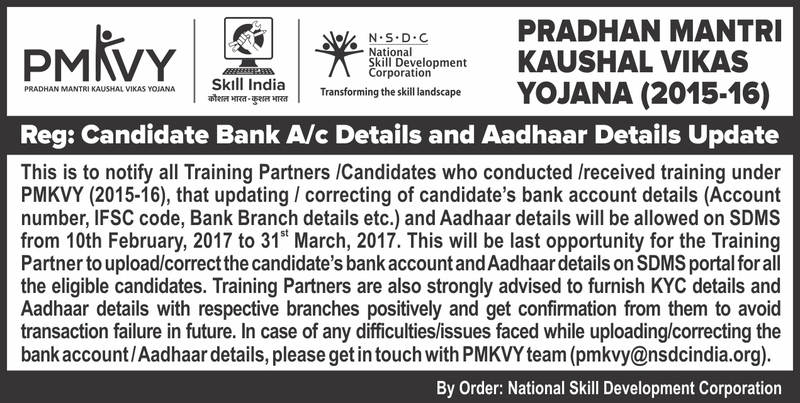 â€¢ Regulate skill development activities in the industry including development of National Occupational Standards and qualifications. The NOS would also be prepared both for the organized as well unorganized sector. It will collaborate with the industry to map typical job profiles, develop the occupational and competency standards for each of the job profiles / roles in the industry, and the career path for all role holders. â€¢ Build Capacity for training delivery by directly influencing the planning & funding of education & training across India and working within the distinctive arrangements in each nation. Help in developing training curriculum and assessment criteria, identify institutes that would partner for training and train the trainers. â€¢ EPCH is a representative body of handicraft exporters and has successfully projected Indiaâ€™s image abroad as a reliable supplier of high quality handicraft goods & services and has ensured various measures keeping in view, international standards and specifications. â€¢ EPCH works closely with the government on policy issues, enhancing efficiency, competitiveness and expanding business opportunities for the industry through a range of specialized services and global linkages. â€¢ EPCH provides commercially useful information and assistance to members in developing and increasing exports; offers professional advice and services to members in areas of technology up gradation, quality & design improvement, standards & specifications, product development, innovations, etc. It also provides a platform for sector specific consensus building and networking. â€¢ Recognizing that Skill Development is an important imperative for achieving Indiaâ€™s ambitious growth targets, EPCH is committed towards working with the stakeholders, especially the industry, government and academia, to create sustainable and scalable skill propositions which will benefit the youth of the country from all sections of society. â€¢ Carpets Export Promotion Council (CEPC) has been constituted under the chairmanship of Minister of Textiles to promote export of hand-knotted rugs and all other types and styles of floor coverings from India. The Council interacts with the Government on various aspects of product development and export promotion measures to help the sector put forth their issues to the government. CEPCâ€™s membership is comprised of senior trade representatives and government officials, who provide invaluable service and expertise to the organization. To carry out sorting, counting, weighing and packaging of finished Agarbattis. Agarbatti Perfume Applicator is the one who prepares the perfume solution and carries out perfuming of raw Agarbattis by dipping in a Ready-to-Dip solution. To study market, analyse trend, perceive fashion setting in and develop collections for paper mache. To prepare the raw materials and process them in an Automatic Rolling machine to get agarbatti as the final product. An Automatic Stick Making M/Coperator is the one who operates different machines to make Bamboo Agarbatti sticks or desired dimensions. To create artwork on a bamboo based material surface as per the specific subject using the available tools & templates. To prepare bamboo sliver and make the basket of desired shape & size by interlacing the slivers. To Sew or Stitch different components (including bamboo based material) using a sewing machine that is essentially required for making a bamboo utility product of specific design & type. Responsible for ensuring the overall quality of the carpet before it is finally despatched. Conceives the stoneware product, sketch it on the stone, cut; shape; size the stone to create the desired stoneware product and finish it with paint or polish before selling it to customer. The clipper clips the carpet to cut extra loops in order to carve them to create engraved appearance. To create digital design with the help of Auto CAD and transferring design on paper of suitable size as print-out for subsequent process of weaving. To make crochet laces for furnishings as per specifications. To stitch the given crochet lace product as per specifications. Responsible for allocating work to subordinates workers; training them; instructing about the job to be performed every day; checking quality of their output and then drawing the product design on the stone for further processing. To create design on graph paper and transferring design back on base fabric for (tufted carpet quality) or on tracing paper for reference (making of hand knotted carpet). To execute the task of drying of carpet after rinsing while allowing it to dry under direct sun or using special set of machines for drying. To execute process plan steps in strict sequence and harmony in selection, weighing, addition of dyes and chemicals tomonitoring for the complete dyeing cycle defined exclusively inparlance with materials, environmental conditions and machines/method of dyeing in consideration. Preparing the raw materials, embossingthe surface of the metal, cleaningand refiningthe metal and checking for defects ensuring to achieve quality standards. The finisher gives the final touch to the carpet which includes re-trimmming, shearing, color touch up etc. so that it is ready for final packing and dispatch. Operating the ceramic furnace ;responsible for firing of ceramic products post glazing. To prepare the raw materials and process them manually by using palm of hand to get agarbatti as the final product. To run hand operated loom efficiently as per buyer design so as to get maximum output with minimum defects. To make Bamboo Sticks of required specification manually using a tool used as a base for making agarbattis/ incense sticks. To make Bamboo Sticks of required specification manually using a toolused as a base for making woven bamboo mats. performing checks on various stages of production during pre and post production like raw material quality, colour properties, finished product quality etc. To prepare paints suitable concentration of lacquerer and applying the same on painted object of paper mache painting and allow it to dry till it gains shine. To plan and execute plan for production of knotted carpets. The planning shall include defining production targets based on carpet size, knots type, knots density, sophistication in weaving etc as well as to ensure they are produced and delivered o subsequent department as per priority defined. To crochet the crochet lace sample as per the client/ designer requirements, make master pattern and instructions for production. mixing the raw materials and chemicals in the mixer machine as per the prescribed chemical composition of the glass to be produced. To prepare paints as per shade and design requirement and paint the object manually with ordinary painting brush and finally left to drying. This unit covers skills and knowledge required to perform the task of Merchandising of products. He works as a link between marketing and production while mediating with the buyer. The primary roles include thorough understanding of buyer sample and/or design requirements, motivating buyer to place order, monitoring over product manufacturing at various stages and shipment of products to satisfaction of buyer. To prepare the raw materials and process them in a Pedal-operated rolling machine to get agarbatti as the final product. To transfer design from tracing paper on to the base fabric for tufting. Preparing the raw materials, polishing the surface of the metal, cleaning the work place and checking for defects ensuring to achieve quality standards. To ensure Quality Plan is established, implemented and monitored through all stages of carpet manufacturing processes beginning from raw material inspection and testing to in-process inspection/testing to final inspection. The Quality plan also includes testing, checking and validation of various inputs used as process auxiliaries/intermediates like dyes & chemicals, packing materials, export compliance, buyerâ€™s specific requirements, transportation of packaged carpets, etc. A Semi-Mechanised Bamboo Stick Maker is the one who prepares sticks of required dimensionsfor making Agarbattis,from raw bamboo pole using specific semi-mechanized stick making M/C. To plan and execute plan supervising production of carpets with right colour of threads ensured to be used for knotting and tufting of carpets as per design specified for. To write instructions on to design map for correct selection and use of threads, border design, knots and tuft density etc. Responsible for filteringout the unwanted particles from the groundedraw material using the iron / wooden sieve for further processing. Responsible for cutting the big hardstone slabs into different sizes, as per the product requirement, for further processing. To unreel carpet threads with the help of manually operated Reeling Wheel (locally called charkha), make doublings with 3-5 threads and roll in a ball form suitable for next processes. This process is executed outside the main manufacturing site and performed in -house by local women folk.